I recently interviewed Adam Snow Frampton about his perspectives on future urbanism. 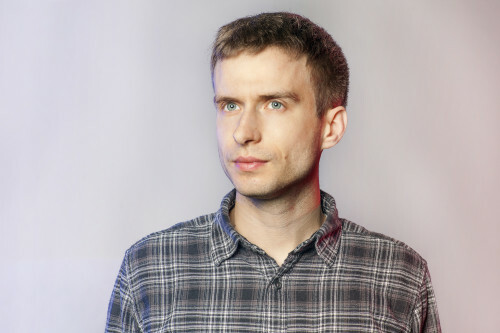 Adam, born in 1980, is an American architect and urbanist. After finishing his Master of Architecture degree at Princeton University in 2006, he worked for Rem Koolhaas’ Office for Metropolitan Architecture (OMA) for seven years, first in Rotterdam and then in Hong Kong. At OMA, he worked on urban-scale projects all over the world, perhaps most notably the Taipei Performing Arts Center. While in Hong Kong, he co-authored the book ‘Cities Without Ground’ with Jonathan D. Solomon and Clara Wong, which is a manifesto for the three-dimensional public space of Hong Kong. In 2013, he moved to New York and started his own practice, Only If, and is currently working on urban-scale projects in the US and China. I wanted to talk to Adam about his perspectives on future urbanism because, in his young career, he has already encountered three significant and diverse influences. Working for Rem Koolhaas gave him an inside view into one of the most influential urban thinkers of a previous generation. Collaborating on ‘Cities Without Ground’ solidified his position as being an urbanist thinker in addition to a practitioner. And now, his new practice is a venue for developing his own ideas and creating a new trajectory. Before we get to future urbanism, I thought it would be interesting to look a bit into your past. Could you tell me about where your interest in cities came from? Were there any formative moments that led you to a fascination with cities? development happening, but it occurs without a coordinated framework. In school in the United States, I wasn’t exposed much to planning. I think that in the US, there’s a very limited understanding of planning. We don’t really plan cities on a big scale anymore. Most of the forces that shape cities here are market-​based. The last official master plan for New York was from the 1950s. There’s no working master plan of New York City, which is kind of a shocking fact considering the scale of the city. There’s a lot of development happening, but most of it occurs without a coordinated and overall framework. When I went to OMA Rotterdam, I was engaged in a lot of large-​scale projects, mostly in the Middle East and increasingly in Asia, where there was an opportunity to plan cities at a bigger scale. In Holland, there’s not necessarily more construction than in the US, but there is a tradition of thinking big and a tendency to plan. For instance, many Dutch design offices like OMA, West 8, and MVRDV have done master plans for the whole country. In the US, it seems like urban planners do not have the power to really influence much. With these limitations, do you think that architects and urbanists in the US don’t think big in the way that the Dutch might? I think there is a will in the US to make cities better and work better, and it’s not easy to pinpoint and say that it fails due to the fault of one actor or another; it’s a combination of very market-​based planning and development policies that are not influenced by designers, but also designers themselves who are not taking on a role that would allow for a genuine transformation of the city. After I moved to Hong Kong a little over four years ago, I led some competitions on behalf of OMA. For instance, we were asked to rethink a very big part of Shenzhen, which was amazing because even though we only had the opportunity to deal with it very superficially, we were really thinking about not only where development happens but also how the whole transportation infrastructure would work. You were educated in the US. When you were at Princeton, for example, were you exposed to urban thinking and urban scale? Did you explore a larger context and urban issues with your thesis project? My thesis was in a rural context and did attempt to address a bigger scale, though I’m not sure how successful it was in that. At Princeton, there were certainly people there, like Mario Gandelsonas, who led studios about Asia and about cities. But somehow, maybe through my own fault, I never found it appealing. In Holland, people attempt to address urban scale issues in a very graphic way. At OMA, there’s always this process of superimposing patterns and other cities onto a site as an initial gesture. For me, that was liberating because I saw that there could be an artistic dimension to planning. Of course that’s not the only reason I became interested in cities, but I think it is very powerful because it is part of what architects are trained in, and it can become a tool for dealing with all the other dimensions of planning. What about just living in Rotterdam and Hong Kong and absorbing the life there? Did that have an impact on you? Yes. I think in Hong Kong more so. In Hong Kong, it’s just a radically different city than most other places. And also, despite being criticized for a lot of things, I think it’s also extremely vibrant and functional. In Hong Kong, there’s something like a 90% public transportation share for commuting to work, which is the highest in the world. I think it’s twice what any comparable city is. So, I think that living there and experiencing it caused me to see it as a potential template for other places in the future. One thing that was really fascinating for me is how living in the city and moving around it is a totally three-​dimensional experience. 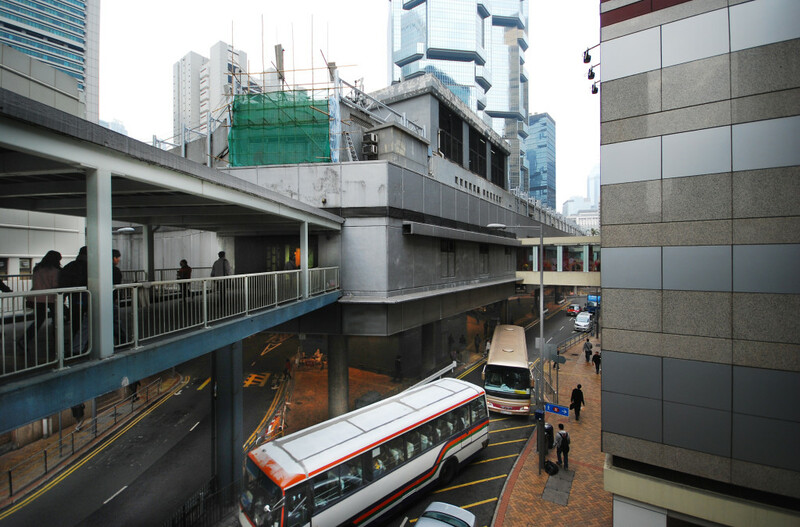 I joined Jonathan Solomon and Clara Wong to work on a project that was mapping a three-​dimensional Nolli plan of the city, looking at the continuity of public space through pedestrian overpasses, office lobbies, shopping malls, and MTR platforms, etc. Initially we constructed large-​scale models representing solids of these spaces, which were exhibited at the Venice Biennale in 2010. After that, the project expanded into the book, becoming ‘Cities Without Ground’. I’m curious how the urban study of ‘Cities Without Ground’ began. Was there a client or a brief you were responding to, or is it a study based on your and your collaborators’ desire to describe the city that you were absorbing in your daily life? At the time, Jonathan was teaching at Hong Kong University and led a seminar called ‘Learning from Louis Vuitton’. Then, Clara joined Jonathan on the project. They had spent a year or two making three-​dimensional maps, initially focused on shopping malls. When the three of us began to work together, our overlapping interests became really productive. There was support through Hong Kong University, but we mostly initiated it on our own. It was really just us discovering these things that, in retrospect, are really obvious characteristics of the city, but no one had really mapped them before. And then we went to a publisher. It’s interesting that it began with a study that focused mostly on shopping malls and then grew into a whole theory of the city. It wasn’t intentionally positioned as a response to other canonical books on cities, like ‘Delirious New York’ or Reyner Banham’s book on Los Angeles? At various points, we looked at all these manifestos on different cities, like ‘Delirious New York’ or even ‘Made in Tokyo’. At the beginning, we thought that our project was so limited in scope, and we wondered how we could make this into a bigger manifesto. In the end, we saw that even though it is specifically about Hong Kong, it is applicable in a broader context. For instance, in mainland China, Hong Kong is already seen as an urban model. We saw ‘Cities Without Ground’ as being instigated by three trigger factors: high density, topography, and climate. All three of these forces create a network of three-​dimensional public space. If you have two out of those three factors, you might trigger something similar in another context. 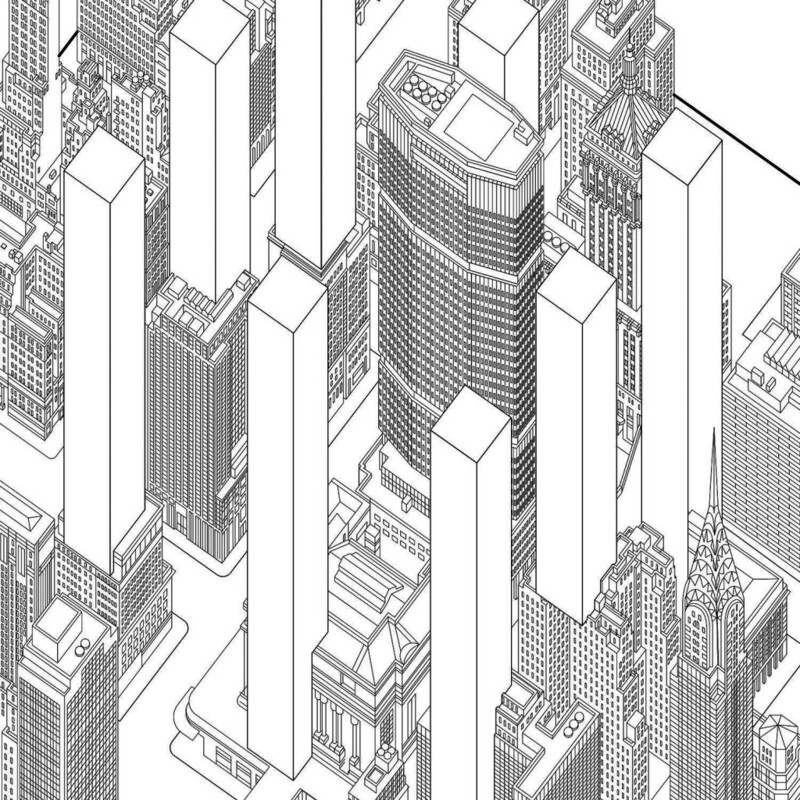 And now, through my own practice, I’m involved in a master plan and architectural competition for Shenzhen. We’re planning about one million square meters, so it is, in a way, a new city. And they’re looking for layered public space in a way that is modeled after Hong Kong, where there’s multiple levels of ground or public interaction. To what extent is the Hong Kong model something that can be exported? Is Hong Kong’s unique urbanism and extreme density due to its specific location, wedged between the mountains and water? I guess, across the harbor in Kowloon, it’s flatter and the space is less constricted, but it still has much of the dense, layered urbanism found on Hong Kong Island. So maybe whatever incubated on Hong Kong Island, in those unique conditions, can still be exported to other locations which don’t have those constraints. I think of course that Hong Kong is unique. But I also think it’s necessary, if you want to plan a massive city so that people don’t have to use cars, to consider something similar to Hong Kong. We saw lots of related ideas in other places. For example, in Minneapolis in the US, there’s a system of elevated skywalks because of the cold climate. In Shinjuku in Tokyo, or in New York around Grand Central, you have an underground network of connections. 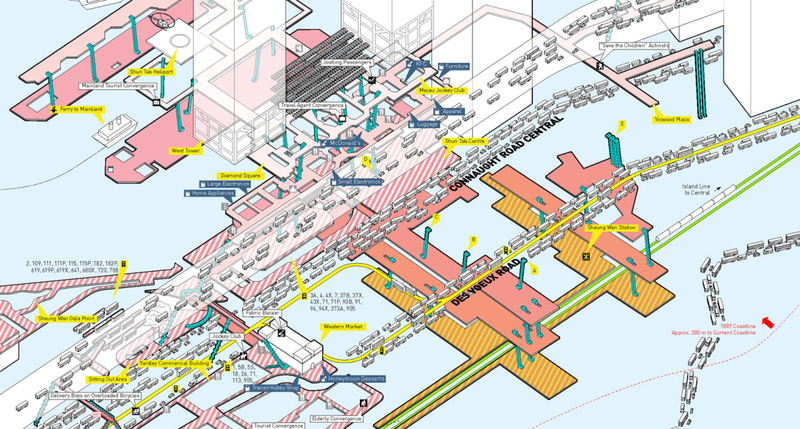 And of course in London, around places like Piccadilly Circus, you also have an extensive network of pedestrian connections below ground level around major transit infrastructure. But in those other comparison cases, there’s always a reference to a stable or fixed ground. What’s specific about Hong Kong is that, sometimes you’re in a tunnel that turns into a bridge, or you’re in a building, like the Hopewell Centre, that has one lobby on the first floor and another lobby on the nineteenth floor, because of the radical topography that the building is embedded within. That, I think, is the specific part about Hong Kong. On the other hand, a place where you might have multiple levels of transit, multiple levels of retail, multiple levels of park or open space could happen anywhere. Already, in Asia, people are thinking a lot about how to emulate some of the patterns you see in Hong Kong, simply because it’s not viable for everyone to follow the American model of having a car and driving from work to home. It’s interesting that a layered approach is necessary to deal with the density. 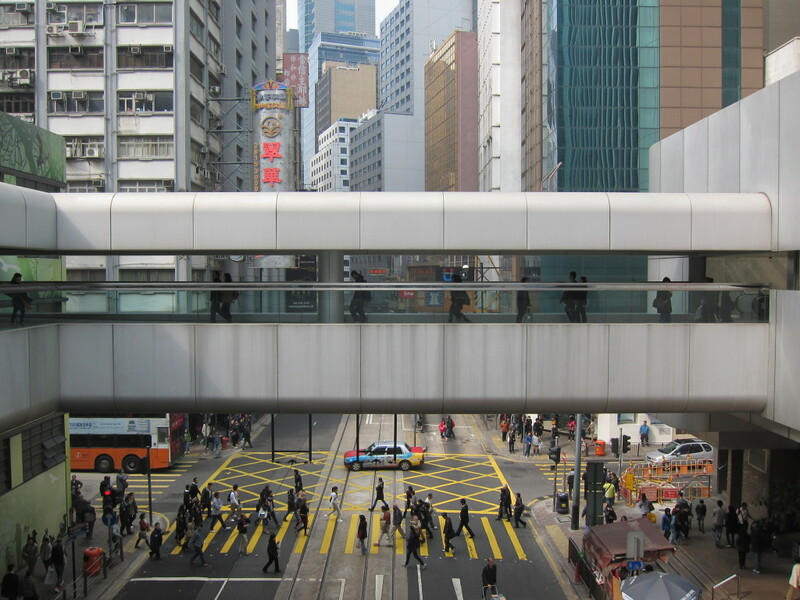 In a lot of Western cities, the skywalk systems of the 1960s and 1970s were, a few decades later, largely derided as failures that killed the life of the street below. Whereas in Asian cities, it’s so dense that layering actually works. For instance, in this competition that we’re doing, the brief already stipulates that they want public levels at 0 meters, 12 meters, 24 meters, and 50 meters. I was totally shocked because that’s pretty radical. Yet, when we went to Shenzhen with the people we are collaborating with, we saw a number of developments that are already under construction or nearly finished which already incorporate this principle. Will ‘Cities Without Ground’ impact and fuel your future design work? Yes, I hope so. But I’m not sure if there will be a direct link from the book to my work. That was always the question when we were making it. Obviously, the term ‘guide book’ that we use is a bit of a misnomer. It is more like a manifesto. But the forms of the city are so complex and specific that it’s hard to take that and just do it somewhere else. But I do think that some of the thinking in there will sublimate into my own design work in the future. But I’m not sure how yet. I’m curious why now is the right time to launch Only If. What was the impetus to, at this moment, break away from OMA, move to New York, and take that leap? After seven years at OMA, I got a lot out of it and I learned a lot, but now I’m ready for something different. And definitely the timing, with the economy here, is good. I am also coming in to New York at a moment when people are starting to rethink the city a little bit. I’m trying to maintain the links to Asia and to keep working there, but by virtue of being here, I’m trying to import some of what I learned abroad. I think in New York, the city obviously has transformed over the past ten years, for better or for worse. Now, a lot of the housing stock is becoming obsolete, or is within floodplains. There’s a huge amount of development going on in New York, but there’s also a real housing shortage. I think that after Hurricane Sandy, there’s a mood for thinking bigger. Is it hard, as a young, small firm, to get projects at the urban scale? Our work now is ranging from very small, about 150 square meters, to a million square meters, or even bigger. I’m still trying to figure out which scale is most interesting. We have three urban-​scale projects right now. One is our entry for the Shenzhen Biennale, which is about New York envisioned with the density and urban conditions of Hong Kong. 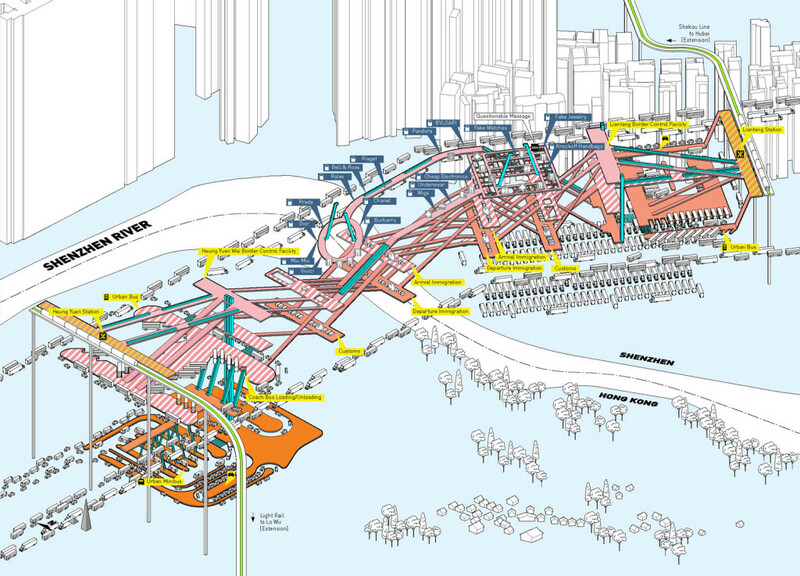 It was a very speculative exercise, and when we projected the density of Kowloon onto Manhattan, we discovered that it would allow the city to occupy a much denser footprint, which also coincides with the flood boundaries that are due to climate change. So then we re-​envisioned how to achieve that kind of density and what emerged was a series of new city centers on top of the existing infrastructure, like you have in Hong Kong. And we also created a much higher contrast between the urban parts of the city and nature, again similar to Hong Kong. So it wasn’t about allowing for an increased population but rather reconfiguring the population that is already there? Yes, exactly. But that density also obviously could also produce a higher population. The second project is a master plan in Shenzhen, which we are now in the second phase of the competition for, together with two other offices in China. We’re wrapping that up in December. Actually, we’re also doing planning work here in the US, in New Jersey. It’s a master plan that’s about 130 acres in a more rural context. I think it is actually not that hard to find work in the US at this scale – there’s very few young offices doing planning. Right, because it seems that many young firms in New York are primarily doing condo interior renovations. But maybe that’s as much about the scale that they’re interested in working at as it is about limited opportunities for larger projects. Everyone does restaurant and apartment interiors in New York when they’re starting out. I wanted to avoid that as a primary focus in the office because, although it’s nice to do that kind of work, it’s also very limiting. I was reading through the firm statement on your website and it ends with: “our cities, environment, and way of life can be reimagined only if architecture is present”, which I suppose is where your firm name comes from. I’m curious what you see as the role of architects and urbanists in the contemporary world or future world. It seems that so much of what gets built is dominated by politics, corporations, or real estate development. What impact can architects have? I think architects and urbanists nowadays have less and less of a share in the production of cities and buildings. That has a lot to do with the increasing complexity of projects. It used to be, ten years ago, that architects had a responsibility to produce a certain amount of drawings. But now, for instance, you have façade consultants, which is a relatively new profession, because all of a sudden curtain walls have become extremely complex and architects can no longer handle it. And drawing sets themselves are much longer because there’s more and more technology inside the buildings. In buildings themselves, we have less and less control over what happens. You can also say, in how cities get made, there are fewer and fewer architects and designers involved. It’s happening faster and happening with less design. So there’s definitely reason to be cynical about it. But I think that there are also a lot of reasons to be optimistic. I think there’s more and more interest in what good design can yield and how it can generate value and efficiency within the systems that emphasize it. Do you think architects should reassert some of the responsibilities that they have lost, or maybe even partner with real estate developers more, or get into policymaking? Or are those just potential distractions? I think, for me, the key is focusing on our own disciplinary knowledge and tools. So many projects are done in which designers claim an expertise about some other discipline. And of course, to make something new you have to bring something from the outside. I understand that. But I think that if we, as designers, focus on what we know, that’s a good position from which to actually make designs and statements and put forward ideas that we can back up. Do you have any general predictions, based on your experience, about what cities will be like in the future? Or what trajectory New York, Hong Kong, and Rotterdam are going on? It’s hard to say. Those are all very different places, of course. It’s well known that a lot of people are predicting that the forces of globalization will make everywhere more uniform, that every city in the world is going to become more and more similar. That’s true to a certain extent. In Hong Kong, those forces of globalization exist as much as everywhere else, and the city is a product of it, but you also have a local, unique, culture as well. That was actually one conclusion from our book. So, extrapolating from that conclusion, I think one thing you could say is that you might actually find cities that are more and more different all over the world. I’m not sure if that’s really a prediction – maybe that’s just my hope.